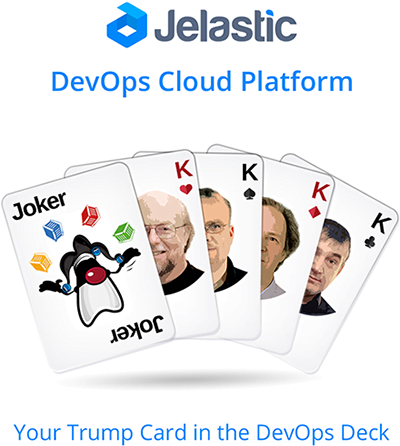 “After integration of Docker containers to the Jelastic we’ve got lots of positive feedback and kept on working to make this technology even more advanced within our cloud platform. The Joker release brings flexibility and security for DevOps with сontainers to the next level,” Ruslan Synytsky, Jelastic CEO. Docker has been integrated to Jelastic platform about a year ago. Since that time a set of enhancements was implemented to improve the performance and user experience. The enlarged number of available possibilities, let developer and system administrators tune their containers. Docker engine was also updated from 1.6.2 to 1.8, that gives Jelastic users the ability to work with Docker Registry 2.x repositories. To view the full list of new features and improvements of Jelastic Joker 4.0 look through our Release Notes. “Thanks to innovations in Jelastic Release 4.0, we are entering a new level of production-ready Docker Hosting. Our customers profit of an unmatched simplicity and scalability when managing their Docker Containers on our Swiss-based Cloud Platform.“, innofield co-founder Reto Giezendanner. Read the entire press release here to find more details about Docker-related improvements and new features of Jelastic Joker 4.0.